Rationalist Judaism: Be A Part Of It! Most of the readers of this website share an interest in promoting certain values. We believe that the natural sciences have much to offer us as Jews. We believe that exploring the connection between Torah and the natural world will enrich peoples' lives. We want to strengthen peoples' connection to Eretz Yisrael. 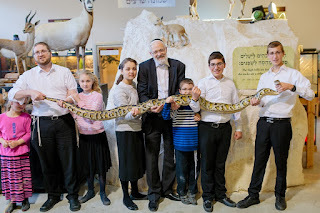 We want to see the charedi community being able to connect to the natural world. The Biblical Museum of Natural History is an institution that really does make all that happen. 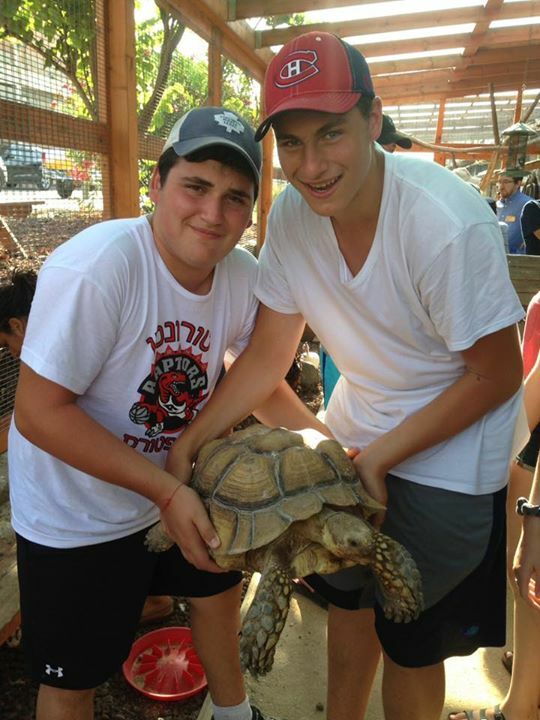 To date we have hosted nearly twenty thousand visitors from all walks of life, from Amish to Chassidish! Every person who comes has a wonderful experience. We've inspired secular kids with a newfound appreciation for their Jewish identity; we've educated North Americans and others about the connection between the animals of our heritage and the Land of Israel; we've educated ultra-Orthodox chassidim (who won't go to the zoo, because it's open on Shabbos) about the natural world. We have the broadest reach of any educational institution in Israel. Nowhere else will you find Modern Orthodox Jews, ultra-chassidish Jews, secular Jews, and non-Jews all receiving the same presentation - and all enjoying themselves immensely! We are still a very young institution, with many start-up costs, and we have not yet attained the economies of scale that we will one day achieve. We are therefore still very much in need of support from people who understand the value of our work and who wish to be a part of it. To that end, we launched our Friends, Partners and Patrons program, which you can learn more about at this link. 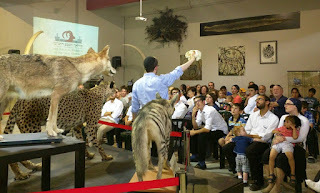 For our patrons, we are putting on the amazing Exotic Biblical Dinner, the day after Yom Kippur. 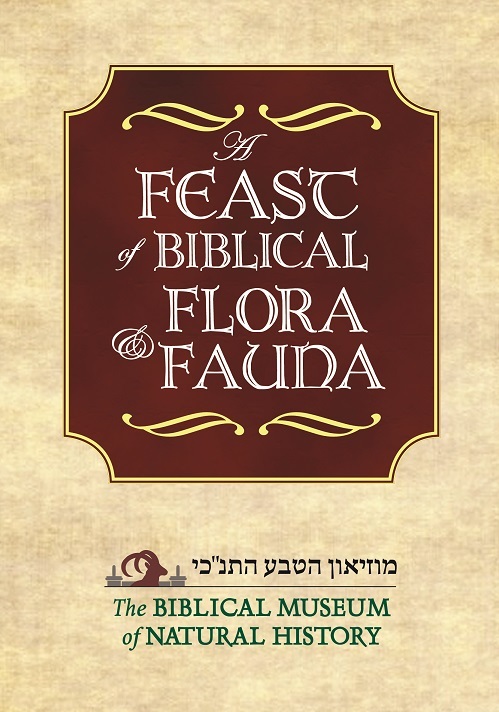 If you would like to sponsor a dedication or advertisement, please write to Maayan@BiblicalNaturalHistory.org with the text that you would like to include. Or, you can reserve your sponsorship or advertisement online with this online form. The donation is tax-deductible in the US and helps us continue our mission. If you believe in the educational goals of the museum, please show your support and help make it all happen! On behalf of all our visitors, thank you. 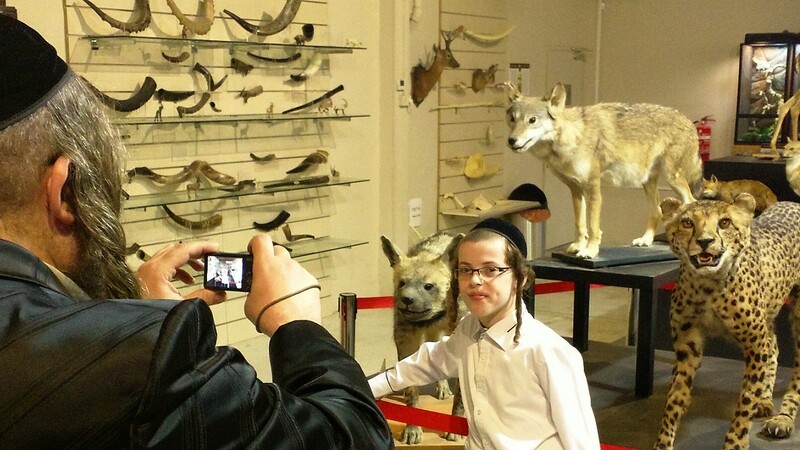 The museum looks great; wishing you lots of Hatzlacha. I'm from London, so while I wish I could visit the museum, it will regrettably have to wait for a while. 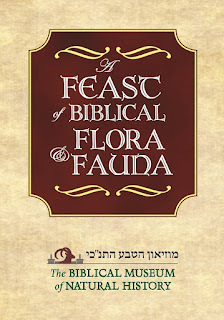 Incidentally, I asked my brother in law (who does live in Israel) if he would take his kids to the musueum in the recent holidays, knowing that he is a proud owner of Rabbi Feldman's book with that infamous critique of the zoo controversy. (He didn't know that R Feldman had originally approved of the book). 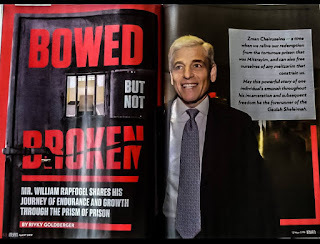 His response was something along the lines of "I don't want to have contact with someone who was involved in the weakening of respect for Gedolim." IIRC he explained that because many people disapproved of the Gedolim's ban on your books and felt it was wrong, their disapproval was somehow your fault! The conversation left me bemused and disappointed. His loss, I guess.